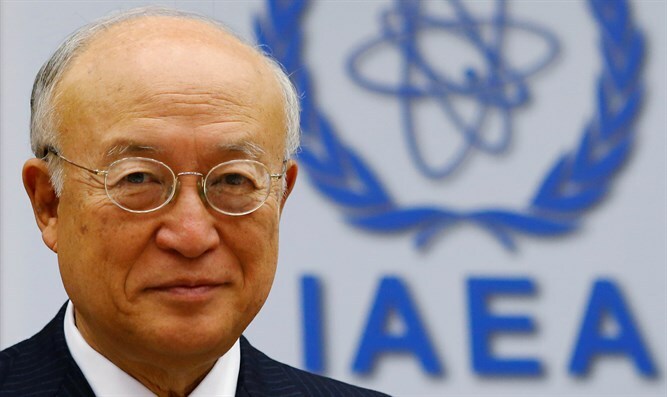 IAEA head Yukiya Amano says Iran is sticking to the nuclear deal it signed with world powers in 2015.
International Atomic Energy Agency (IAEA), the UN atomic watchdog, insisted on Monday that Iran is sticking to the nuclear deal it signed with world powers in 2015. "The nuclear-related commitments undertaken by Iran under (the 2015 accord) are being implemented," IAEA head Yukiya Amano told reporters, according to the AFP news agency. "The verification regime in Iran is the most robust regime which is currently existing. We have increased the inspection days in Iran, we have increased inspector numbers... and the number of images has increased," he added, speaking in Vienna. "From a verification point of view, it is a clear and significant gain," stressed Amano. Amano’s comments come amid criticism from the United States about the deal. Trump has to certify again in mid-October whether he believes Iran is abiding by the nuclear deal and that sticking to it is vital to U.S. national security interests. If, as seems increasingly likely, Trump decides not to give the green light, Congress will then have 60 days to debate whether to re-impose sanctions on Iran. Trump's UN envoy, Nikki Haley, has been particularly critical of the nuclear deal, saying it was wrong to strike a deal ignoring Iran's missile program and support for terrorist groups. Haley recently asked the IAEA to seek access to Iranian military bases to ensure that they were not concealing activities banned by the 2015 deal. Iran has dismissed the demand as “merely a dream”.